LEXINGTON, KY –The Kentucky Thoroughbred Farm Managers Club is pleased to announce the “Ted Bates Farm Manager of the Year” for 2015. Mr. Gary Bush, Manager at Denali Stud was chosen by a committee of peers represented by Ted Bates (for whom the award is named), the past and current Farm Managers of the Year, the current KTFMC President, and the past KTFMC President. The criteria for selecting the “Ted Bates Farm Manager of the Year” are Quality and Success of Management; Service to the Community; Involvement in the KTFMC; Industry Leadership and Dedication. Gary Bush has had a 30 plus year career in Thoroughbred Farm management, working for Three Chimneys Farm, WinStar Farm and Denali Stud. After spending 20 years at Three Chimneys, Gary was offered the position of Farm Manager at the newly formed WinStar Farm owned by Kenny Trout and Bill Casner. Here he had the opportunity to “hire whoever you needed to build the farm.” While at WinStar Gary was able to work with Distorted Humor, Tiznow, One Cool Cat and Funny Cide. One of his best memories was attending the Kentucky Derby in 2003 which was won by Funny Cide. Gary is a homegrown local just like the horses he has raised over the past 30 years, he grew up in Midway, Kentucky and lived there his whole life until moving to Paris, Kentucky for the position at Denali Stud He is married to Francis, and they have two sons, Jonathon and Adam. Gary’s interests outside of horseracing are family and golf. 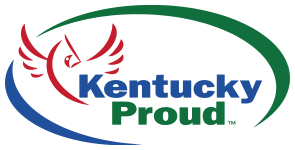 The Kentucky Thoroughbred Farm Managers Club will be hosting its annual Dinner Dance to honor Gary Bush, the 2015 “Ted Bates Farm Manager of the Year” at Oasis in Paris on December 4, 2015. This year’s event will be black tie optional and be featuring the Motown beat of Soul Explosion and the Positive Movement Band. There will be an Online and Silent Auction with proceeds going directly to Old Friends Thoroughbred Retirement Farm. Cocktails will start at 6pm, Dinner to follow at 7:30 and the band will play from 9pm till midnight. Open bar will be provided by Hagyard Equine Medical Institute. KTFMC president Randy Gilbert on this year’s event, “Obviously we are delighted to have Gary Bush recognized for his countless years of service and that being said, this dinner dance black-tie extravaganza will be a return to the parties of old with memorable music and décor to celebrate “Old Friends”.” Tickets can be purchased through the club website at www.ktfmc.org/ddrsvp Limited sponsorship opportunities are still available, please contact Club President Randy Gilbert at president@ktfmc.org or Dinner Dance Chairman Carl McEntee at carl@darbydan.com.